We take the locations associated with your errands, and plot the shortest route. 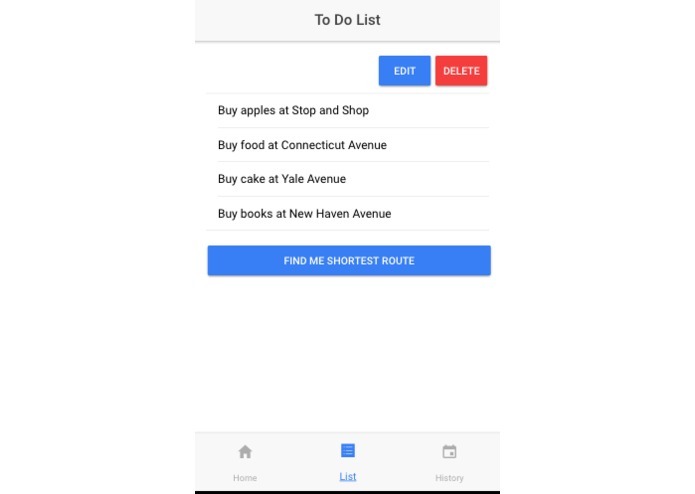 Navigating to multiple destinations can be a hassle when the functionality isn't supported by your favorite navigation app. Choosing the order of destinations that would have the least impact on your trip time, is also difficult to do at a glance. 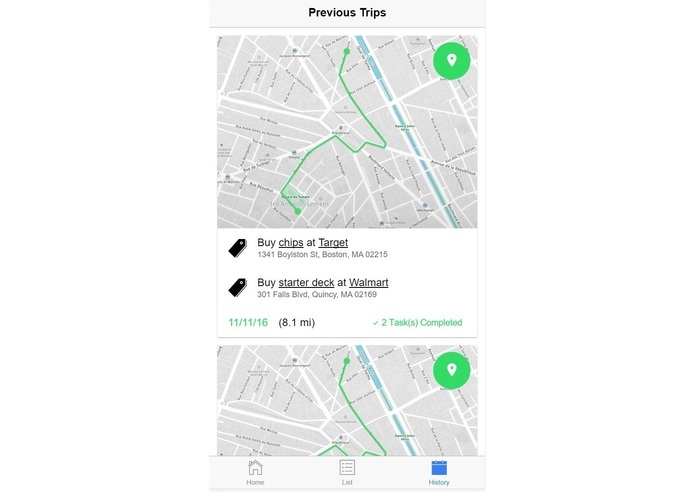 We wanted a simple way to navigate through a set of errands, without having to evaluate the routes ourselves. 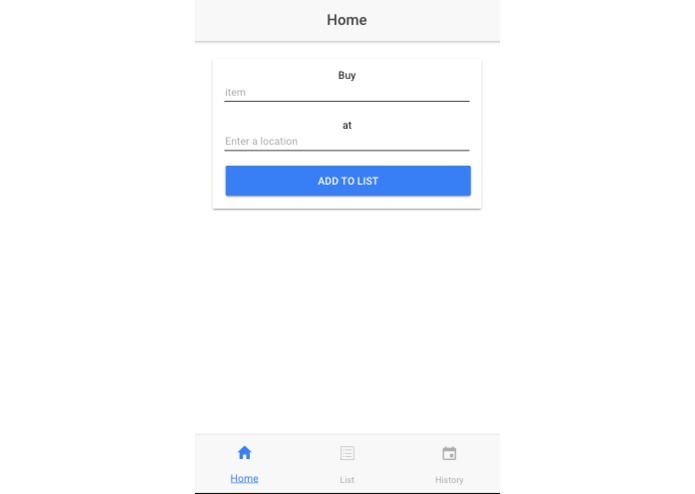 Users add errands or tasks associated with a location to a list using 1 of 3 goal oriented templates. 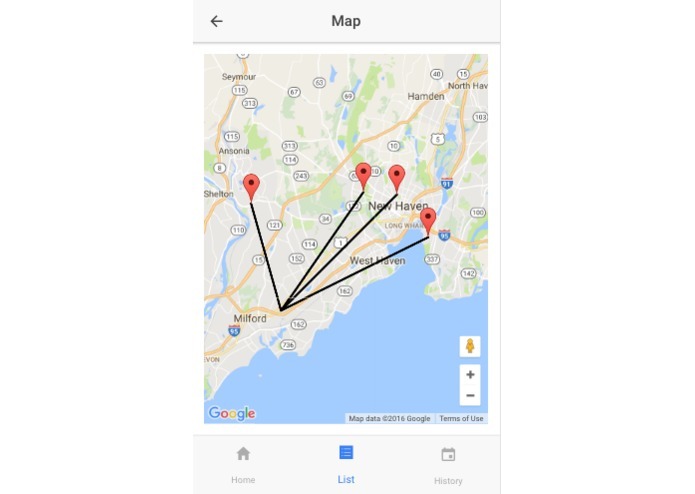 The user can then request a route, and have the shortest path between their tasks and locations mapped out for navigation purposes. Actually defining a route given a set of locations. We were able to provide specific locations for user inputs (i.e. locate the nearest Target store for an input of "target"). We were able to display a pin location on the map for each task. We hope to support multiple lists in future iterations, and provide a finer control over the tasks used to generate the route. 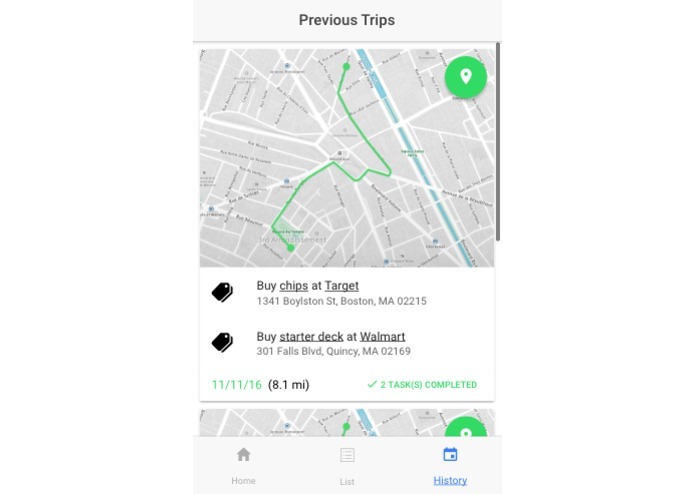 We would also like to save a given route to offer users the ability to repeat errands without the need to recreate their lists. Web and Mobile computing student at Rochester Institute of Technology. Competent and creative front end developer.